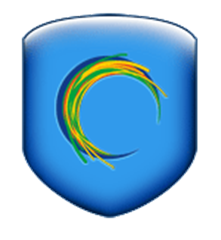 After launching an iOS app and adding malware protection to its features, AnchorFree has just announced another update to its secure browsing tool, Hotspot Shield. The latest update brings 5 new features to the table. 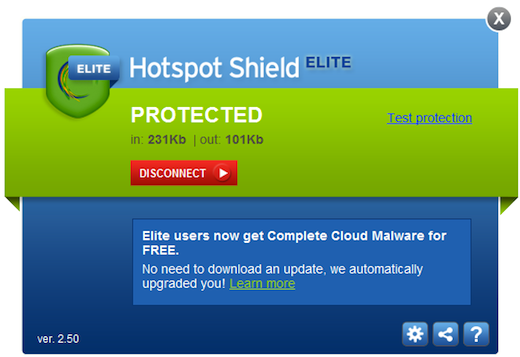 With the new version, Hotspot Shield users can now put their minds at ease with automatic network detection. This means that the app will detect unsecured WiFi networks, and will issue a notification. Users can set the app to automatically activate when a new network has been detected. Another significant change to the way that Hotspot Shield works is that you no longer need administrator privileges on your computer to get the app up and running. Of course this might not be great news for the professional world’s productivity levels because it means that if your company or school has blocked the likes of Facebook, Twitter or other sites which beckon to the procrastinator in all of us, you can now access them using Hotspot Shield. That sound you hear is the collective gasp of joy from Farmville’s millions of users. On a serious note, however, while Hotspot Shield does make it easy for you to access sites that have been blocked by your company, its primary use has always been to offer Internet users the world over a secure way to get online, accessing blocked sites far from the snooping eyes of authoritarian regimes. Other features that users can enjoy with the new update include a connection status icon. At a glance, users can check to make sure they are in fact on a secure connection. As for the recently added malware protection, AnchorFree has also upped that feature. Its database of over 3.5 million known and suspected malicious domains keeps users safe, with the ‘always on’ option – protecting them from infected sites, phishing and spam. AnchorFree has also given Hotspot Shield a much need overhaul in the user interface department, making it much easier to access the app’s settings, and offering a far sleeker look. Speaking about the update, David Gorodyansky, AnchorFree’s founder and CEO said, “We wanted to make it as simple as possible for our users to protect themselves against the bad guys”. He added, “This latest version of Hotspot Shield makes it easier than ever to stay safe and private online wherever you are. Turning on Hotspot Shield should be a no brainer. Now it’s as easy as locking your front door”. If you want to find out more about Hotspot Shield and David Gorodyansky, check out our interview with him here.